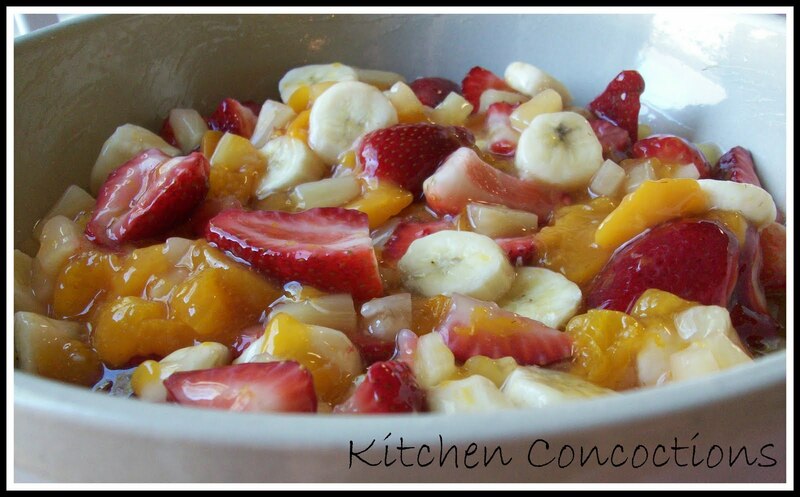 Here is another refreshing fruit salad that I grew up eating. 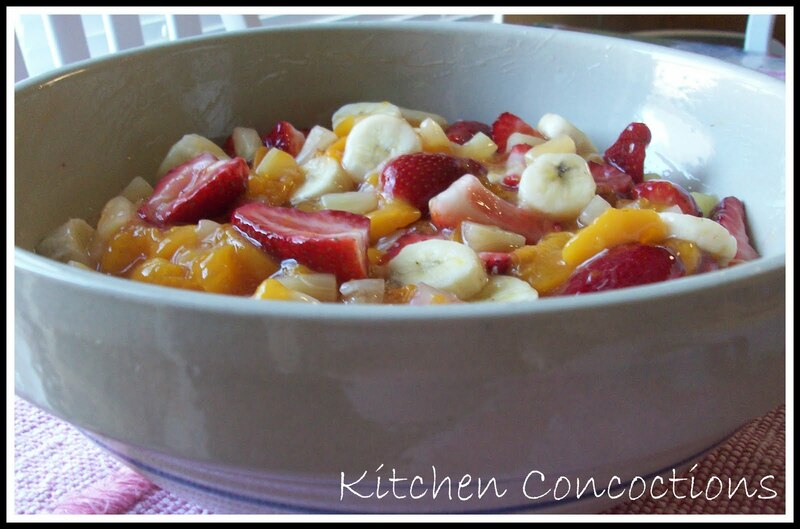 Just like the Creamy Fruit Salad from the other day this salad is perfect for breakfast/brunch, snacks, or as a nice side to a summer BBQ. This is also another recipe I have featured on here before (almost a year ago) and because I love it so much and eat it so often, I totally think it deserves a re-post. Plus I recently wrote an article for meal planning/recipe site Food on the Table all about strawberries and I though this salad was the perfect recipe to accompany that article. So here’s a little info about this fine berry! Juicy, plump, sweet, delicious strawberries! Who doesn’t love enjoying this beautiful fruit as an afternoon snack, quick breakfast with some yogurt, or tossed with some other fruits or greens to make a beautiful salad for dinner. Strawberries are fresh and ripe for picking during the Spring and Summer months (April thru September). They will taste best during these months as well as be the most affordable. Strawberries are a naturally fat-free, sodium-free, and cholesterol-free food. They are high in Vitamin C and folate and also provide calcium, magnesium, and potassium. Recently research has shown that eating strawberries in addition to other red fruits such, as cranberries and raspberries can help reduce the risk of cancer. When purchasing strawberries look for berries that are firm, plump, deep red in color, medium in size, and with their green caps still attached. When buying prepackaged strawberries avoid those packages that are packed too tightly which will cause them to be easily smashed and bruised. Strawberries should be stored in the refrigerator and eaten within just a few days of purchase. They can also be frozen for further use for up to one year. Strawberries are the only fruit with seeds on the outside. And a single strawberry has, on average, 200 seeds. The strawberry plant belongs to the same family as roses. Madame Tallien, a French noblewoman at the time of Emperor Napoleon, was famous for bathing in the juice of fresh strawberries. According to botanists the strawberry is not a true berry, because true berries, such as blueberries and cranberries, have seeds on the inside. Strawberries have long been associated with love and flirtation and have been labeled as an aphrodisiac. 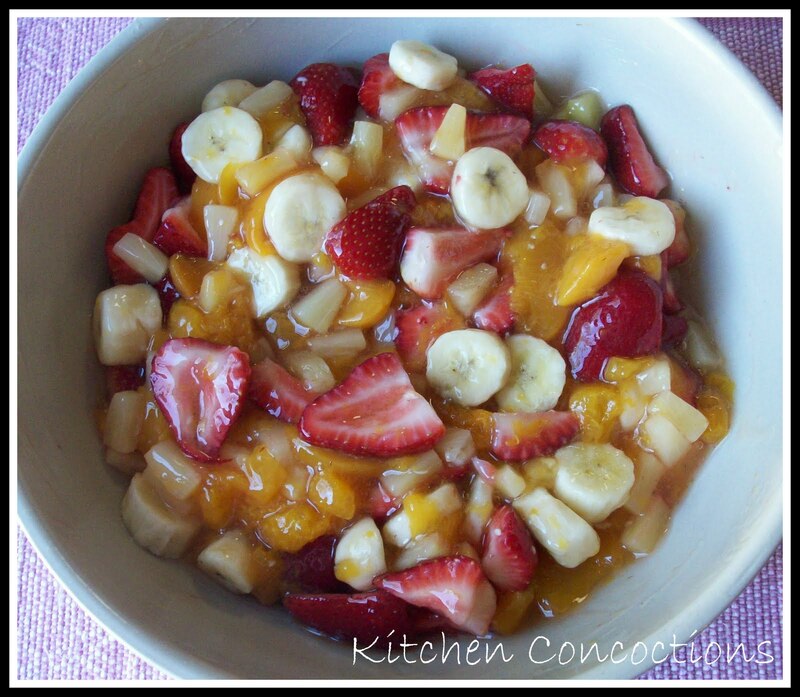 So why not add a some sweet strawberries to your weekly dinner menu this Spring with this easy fruit salad! Now I have all these recipes of Mom's to make! Thank you Heather! I almost made a similar salad the other day! Glad to hear it's a good one – now I need to try it out!